Tree felling at Muirshiel starts Thursday the 8th of February and will continue for several weeks. 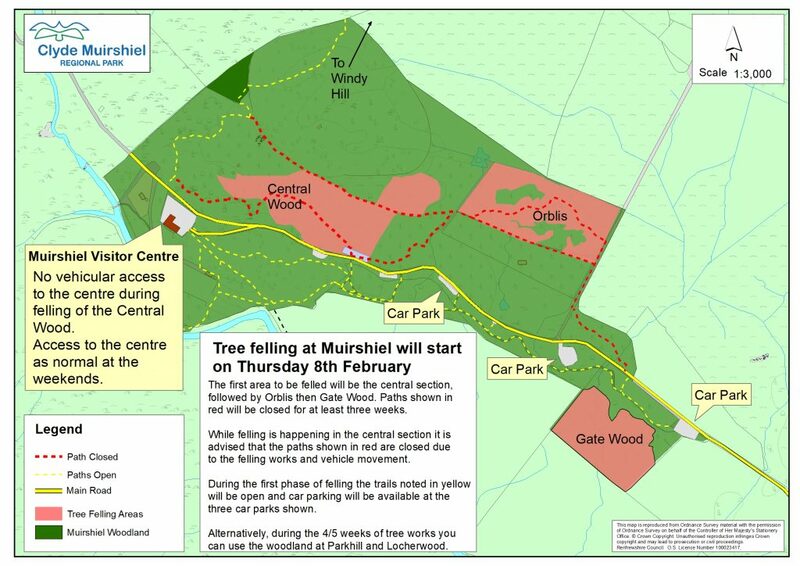 After a delay in the tree felling at Muirshiel it will start on Thursday the 8th of February. Three compartments will be felled over the next month and replanted with native trees such as birch, rowan, oak, willow and aspen. Please see the map for the paths and car parks to use over the next few weeks to avoid the felling works.